2 cups potato cut in fingers style. 1/2 tsp chilli (crushed or powder). 1/2 tsp roasted and crushed cumin seeds (jeera powder). 1/4 tsp black salt (Kala namak). white salt as per taste. 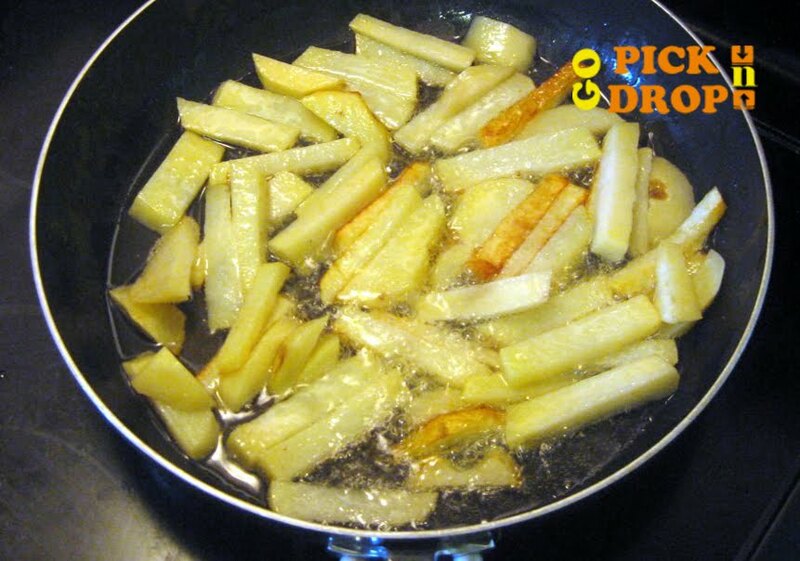 Heat the oil in a deep non-stick pan, add potato cut in fingers shape and deep-fry them till they turn golden brown in colour . After deep-fry take them out and let excess oil drain out on an absorbent paper. 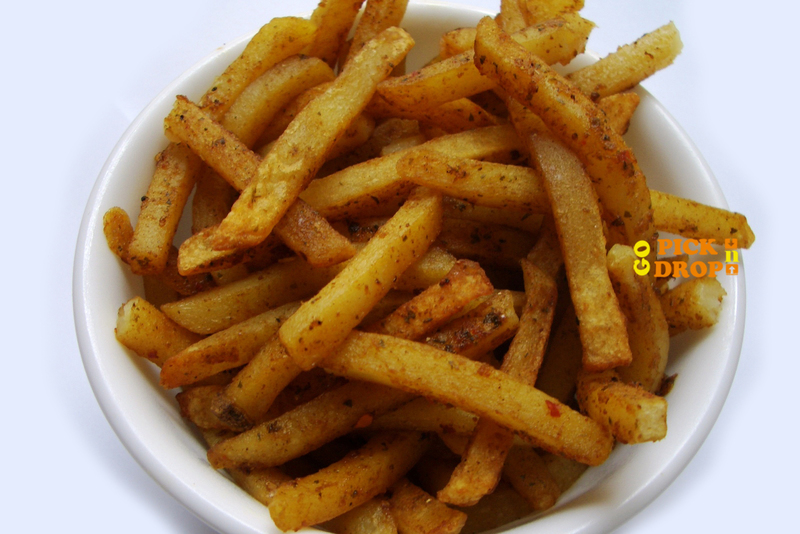 After 2 minutes sprinkle chillie powder, cumin seeds powder(jeera powder),chat Masala, black salt and white salt over it. Toss the in a bowl or any container.